This blog post was originally posted on my original website back in February of 2010. I am reposting some of the original content and adding some new information that was not originally available. Enjoy! 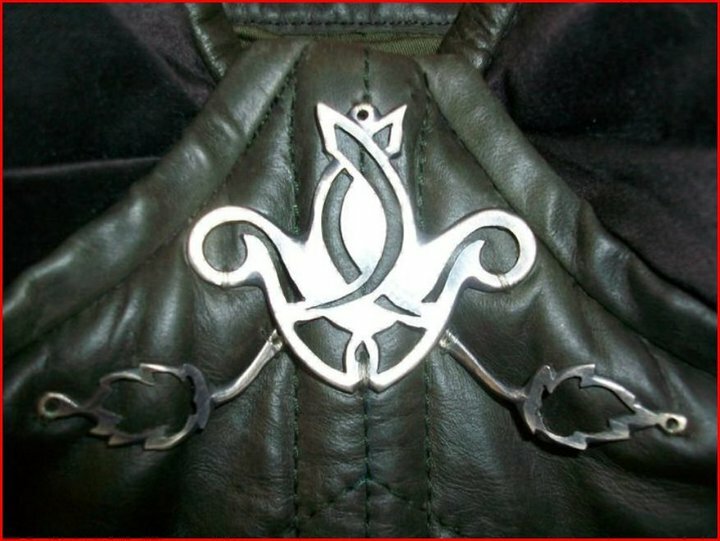 I’m planning on making Kahlan Amnell’s costumes from the television series “Legend of the Seeker” later on this summer. I’ve been researching the costumes for about 6 months now, and I decided to document my findings for others to reference. I’ll be going through my research first, and after I finish my other sewing projects, I’ll be posting progress images on my own construction of the costume. I’m going to break down all the parts of her outfit little by little, with hopes of getting every piece replicated as close as possible. I do this by looking at many hi-res reference images, watching behind the scenes footage, and of course, watching the actual episodes. Anywho, onto my first part of Kahlan’s costume, her corset. The corset is an overbust corset with bra cups and straps. The corset laces up in the back through grommets. Season One had Kahlan wearing one version of the corset, which had a panel at the hips and grommet lacing in the back. There was also a band underneath the bust in the season one corset. The first image is a screenshot and the other images are from the Shed 11 Costume auction. The season two corset does not have the hip panel, the underwire casing under the bust, and the back laces with boot laces rather than grommets. These photos are all from the Shed 11 Costume house Ebay auctions of the actual costumes from the show. The body of the corset is made out of soft dark olive leather. The binding on the bottom edge in the Season 2 corset is the same fabric as the cups. The season 1 corset is bound in leather. The top edge of the corset, and the straps, are leather. The bra cups have a pleated sateen fabric on them. 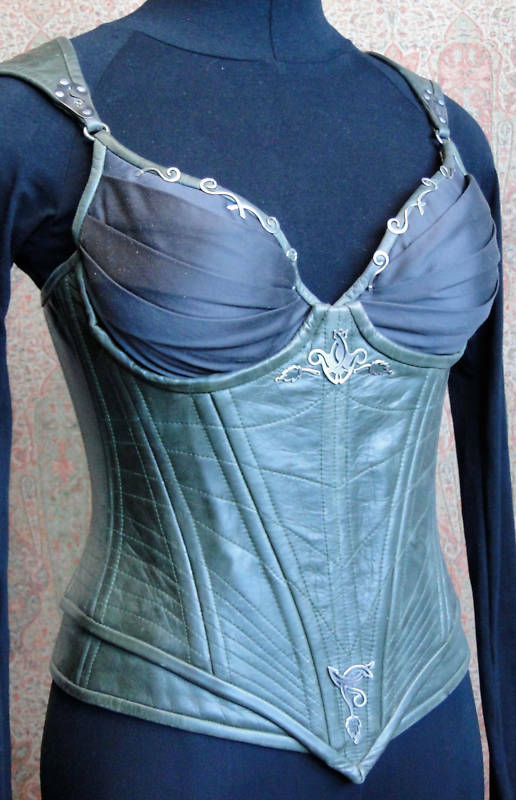 The Shed 11 costume auctions described the corset as "The spiral boned corset is constructed from dark green leather and attaches to a bra cup covered with pleated cotton sateen fabric in the same dark green. 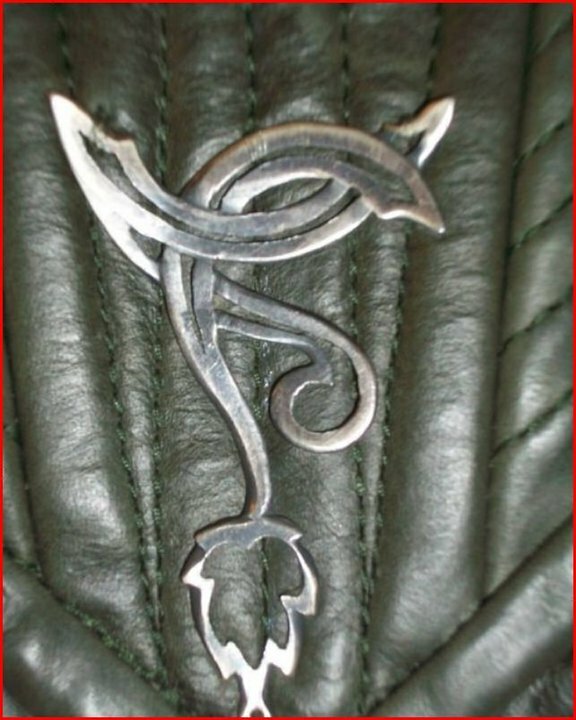 The metal decoration is silver and was handmade by the Legend of the Seeker costume department jeweller." You can make out some of the fabric notes written by the costume designers in their detailed notes. This binder went up for auction on Ebay and I've yet to contact the buyer about possibly providing more information about it. The corset has decorative stitching that is applied before the boning channels are sewn in, which would mean the boning channels on the inside of the corset use boning tape and the boning is not just stitched in the seam allowances of the corset. The boning is applied along all the seamlines, including center front. The metal swirls on the edge of the bra cups are made of one piece of curled metal layed over itself in different directions. Thanks to Mr. Gracie, one of the winners of one of the season 1 Kahlan costumes we can now see the inside of Kahlans corset. He was nice enough to take photos of the corset for me so I could see what the inside construction looks like. 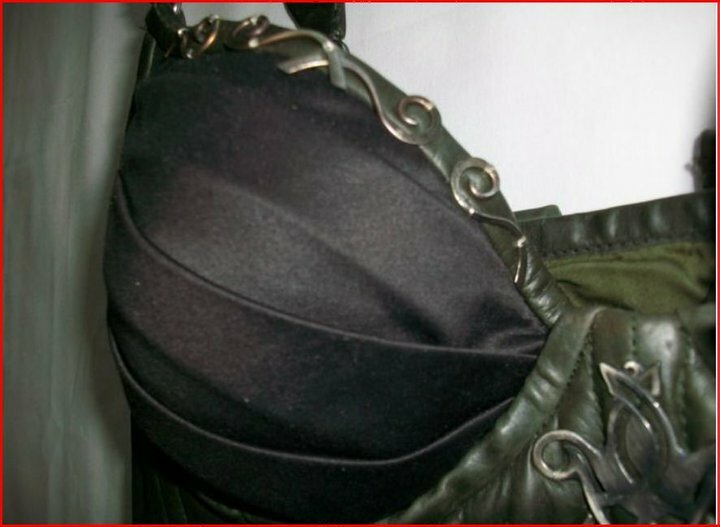 Thanks to another Ebay buyer, I also have these close up images of another of Kahlan's Season 1 corsets.